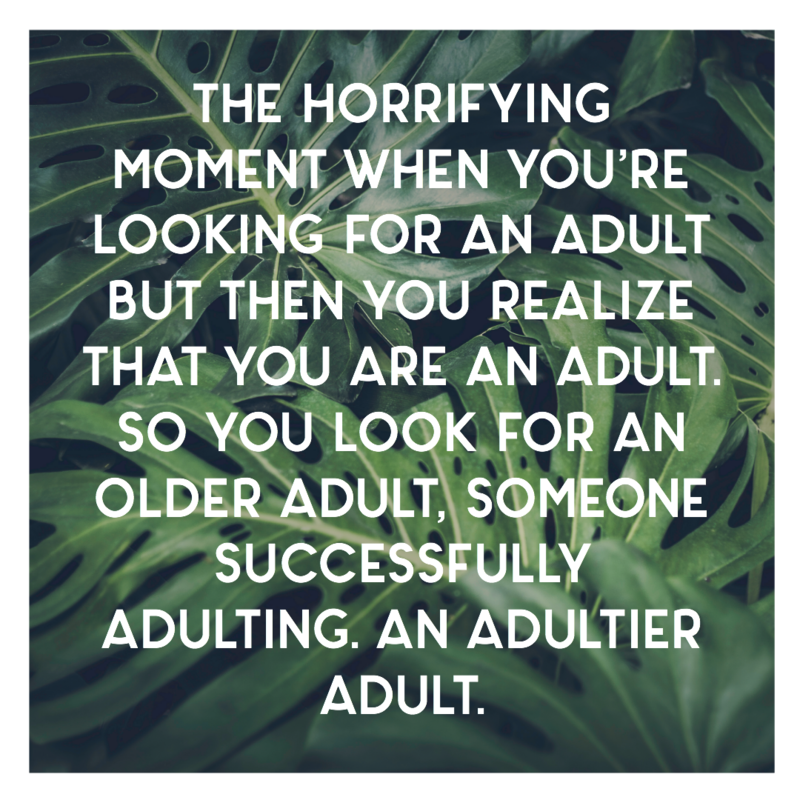 Thanks to Swiffer for sponsoring this post on adulting and quick cleaning tips! All opinions are, as always, 100% my own. Most of you guys know I’m a fan of Swiffer products, and that they’ve been a sponsor of this blog for a few years now. 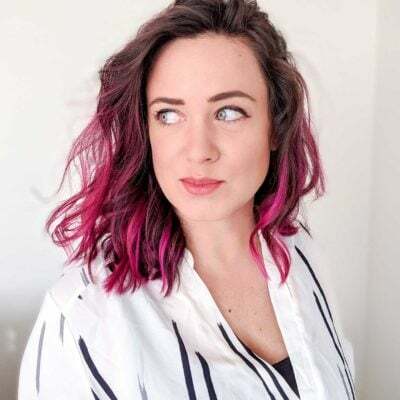 Over that time, I have found a number of uses for them that you might not immediately think of (and even shared this tip with a friend the other day and realized I hadn’t shared it with you guys yet!). So today, I’m sharing one of my “Adulting” quick tips for making my house look like a grown-up actually lives here. When I first moved into the UDH, I was given a houseplant as a housewarming gift. I was also gifted toilet paper, which wound up both funny and practical, and I still recommend the idea to this day. But as for the plant, I didn’t actually know it was alive for the first few months of owning it. To my surprise, I managed to save it, but countless others weren’t so lucky. Like many new homeowners, I needed to hone my houseplant instincts. To be the type of person who can now share advice on plants, gardening, and the like, makes me realize how far I’ve come from that first plant. If I can manage it, just about anyone can find their inner green thumb with just a few good tips. Do your indoor plants collect dust like mine? Ok, well probably not exactly like mine. Mine are subjected to quite a lot of indoor pollution because of all of my renovation activities (drywall dust, sawdust, dog hair and dander, etc…). But, chances are, you may not have given much thought (prior to now) to the dust collecting on your indoor plants. To keep my green friends happy and performing their best, I give them a little help by periodically cleaning their leaves. A dusty or dirty plant is like a me on a diet: it’s cranky, it’s stressed, and it’s really not in the mood for your crap, Simon. Dust and dirt on the tops of leaves block sunlight and impede the plant’s ability to photosynthesize. It also makes plants (especially the waxy-leaf ones, like my fiddle leaf fig) look sad and dull. The healthier a plant is, the better it can fight disease and infestations. As a former brown thumb myself, I know all too well the frustration of plants that seem to wither before my eyes. Not to mention, the stress on my wallet to replace them! Once I started wiping down my plants on a regular basis, though, I saw a noticeable improvement in their stability. Even when I forget to water them, they bounce back faster when I remember to clean them off as I start to care for them again. 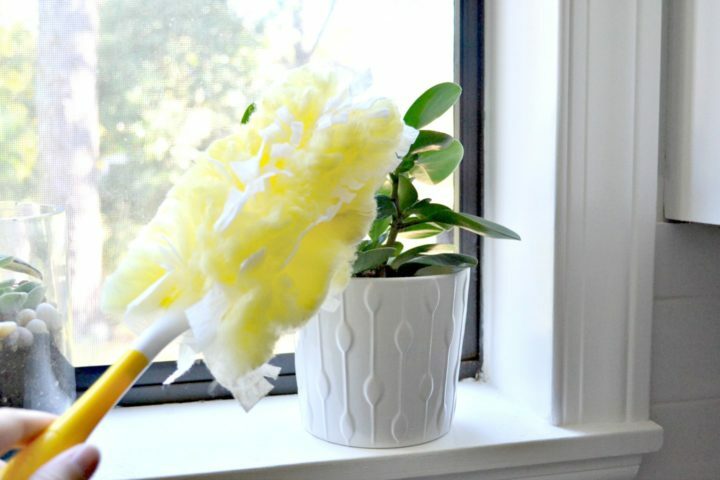 If you read the first paragraph of this post, then you’ve already figured this part out: I use Swiffer to keep my plants clean! It’s honestly not a separate task during the cleaning process for me, nor do I fanatically use the same Swiffer product each time. I simply use either the dry cloth or the duster (whichever activity I happen to be doing at the time, dusting or wiping stuff off the floor) to do a quick swipe across my plants. If it’s the sweeper cloths, I will usually start by wiping the plants down with a clean cloth and then attaching it to the Sweeper before sweeping the floor. It’s easy and simple, and it keeps me consistent enough to avoid dust buildup. Using the dusting habit often enough, I don’t really have to do much more than that. If I ever neglect my plants for a longer period and the dust accumulates more, there’s a plant product specifically for helping to restore waxy shine on leaves. I’ve bought it before, but it mostly sat under the kitchen sink, unused. I’ve even heard that people use mayonnaise to do the same cleaning/shine treatment (haven’t needed to try it yet, though). It should also be noted that the duster option is also ideal for the fuzzy-leaf plants, like violets, that shouldn’t be watered directly on its leaves. So, that’s it! Just a quick tip and a good reminder for spring, since lots of people turn their attention to new growth around this time of year. Tell me: have you ever dusted your plants before? Do you have any small tricks you use for your houseplants? I have a lot of small succulents that need to be watered carefully, but I hear fiddle leaf figs LOVE the shower! Most of my plants are do not have smooth, large leaves. I have primarily African Violets and viney plants plus an ancient jade plant whose leaves are smooth but small. I clean my plants’ leaves fairly regularly but I don’t dust them. I rinse them under running water. Even the violets. Yup, even the African Violets! The trick with rinsing the AF’s is to use tepid to warm water. I adjust the temp from the faucet and then, tipping them a bit so all the water doesn’t go into the soil or rinse it out of the pot, I run the water onto the leaves and rub gently with my fingers. I make sure to keep them out of the SUNLIGHT until they are dry. I’ve never had any problems with spots on their leaves. Even if you don’t rinse the leaves with tepid to warm water you need to water them with water at that temperature or you will get leaf spotting despite keeping the leaves dry. So, there’s your tutorial on growing AF’s! 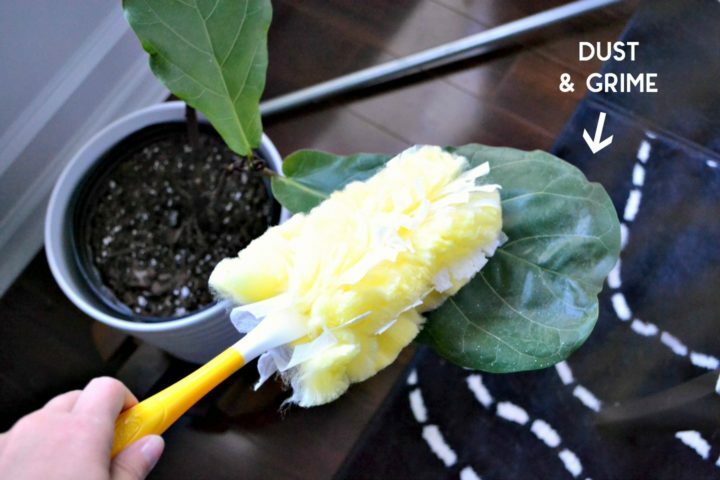 I have a small house so I don’t have any really big plants with large leaves or I would try the Swiffer Treatment. Especially if the plant was large enough to prevent putting it under a faucet to rinse the leaves. I do think it is important to keep your plants’ leaves clean for all the reasons mentioned in this post. Remember they are your little pets and depend on you to keep them healthy! If you do, they will help keep you healthy, too! Thanks for this post for plant-lovers, Sarah! These are wonderful tips! I would have never thought to do some of those, but I will be trying them out now! I never thought to use the Swiffer! I am going to try that! Just found your blog and loving it!